This content was produced by the Advertising Department of WPTZ. Tiles remain a very popular choice for residential homes and businesses alike. Versatile, beautiful, and durable with endless sizes, colors, and styles, tile offers a myriad of design options that other finishing materials simply can’t match. And behind every successful tile installation, whether a tiled floor, a shower, a countertop or beyond, Schluter-Systems offers an installation system that ensures the tiles installed can stand the test of time. 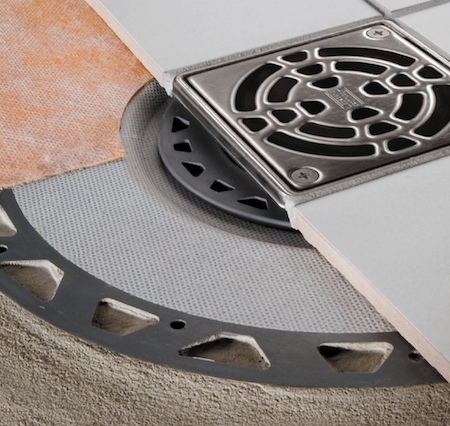 The desire to create the most advanced tile installation systems is the driving force behind Schluter-Systems. Fortunately, contemporary tile systems have come a long way, especially those designed in the laboratories of Schluter-Systems, the industry’s most innovative tile and stone installation system company. Schluter-Systems was founded more than 50 years ago when master tile setter Werner Schlüter had a vision to answer a common challenge in the tile industry. Since then, the company has introduced over 8,000 line items. Since 2010, the company’s engineers have designed new waterproof shower components, low-profile linear floor drains, electric floor warming systems, and well beyond. One of their recent innovations is DITRA-HEAT-DUO, an uncoupling and waterproofing membrane that provides sound control as well as a thermal break. The system can also be customized with heating cables to create a warm, luxurious tiled floor. It’s the answer that many condominium owners are looking for: warm floors and quiet spaces, combined. A product like DITRA-HEAT DUO combines multiple benefits into a single product, making installation faster and easier than traditional methods. To achieve this assembly would normally require the installation of multiple layers. DITRA-HEAT-DUO is the only system that provides all of these benefits in a single layer. Forthousands of years people have built tile floors, making it one of the oldest and most common construction projects in the world. DITRA-HEAT-DUO improves this process by providing uncoupling through an ingenious geometric configuration that neutralizes the differential movement between the tile layer and the substrate below. By securing the tile to an uncoupling membrane, potential cracking and delaminating are eliminated. This polypropylene layer also removes moisture penetration, another traditional problem area. Finally, the vapor that can build up between the substrate and tile has an escape route due to this innovative design. This same membrane not only dampens sound but also evenly distributes the weight of the tiles and those stepping upon them, thus allowing the floor to successfully support loads. The installed membrane is almost completely incompressible within the tile assembly. 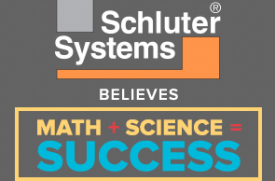 Schluter-Systems, which has more than 900 employees in North America alone, is known for its commitment to education. In addition to e-learning and video instruction, the company offers both introductory and advanced two-day hands-on workshops covering every detail of installation. Expert technicians introduce the benefits of each product line and answer questions about industry-approved techniques. There are also live demos for not only DITRA-HEAT-DUO installation but also many other practical systems, including full shower and tile installation techniques. Attendees have the opportunity to build a shower including a KERDI-BOARD bench and participate in installing several components, including a KERDI-DRAIN. The workshops provide information on standard and custom applications so installers depart with a full command of Schluter-Systems’ products. In 2017 alone, more than 10,800 individuals took advantage of Schluter-Systems’ educational classes. What began with a 12 year old’s intrigue with tile setting has grown into a multinational company that continues creating innovative products within the realm of ancient art of stone and ceramic tiling. Hundreds of Schluter-Systems dealers throughout North America and the world have witnessed the growth of the company and the success of products like DITRA-HEAT-DUO, an innovation that has changed the heated floor landscape. Visit the Schluter-Systems website at Schluter.com or contact your local dealer to learn how to integrate these systems into your home or business.